Lock in a great price for Sentido Tucan – rated 8.3 by recent guests! The service given by staff is amazing, always helpful and friendly. Good location, friendly staff, excellent food. Pool and outside space etc very good. Room was clean, modern and spacious. Breakfast was really nice with a great selection. 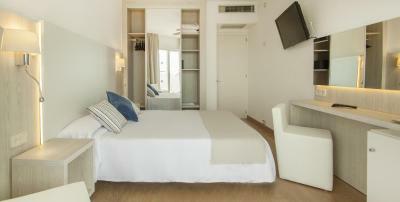 Great location in centre of Cala d’Or. Modern, clean, fantastic location and great staff. Breakfast was really good, room is big with very clean bathroom. Sentido Tucan This rating is a reflection of how the property compares to the industry standard when it comes to price, facilities and services available. It's based on a self-evaluation by the property. Use this rating to help choose your stay! 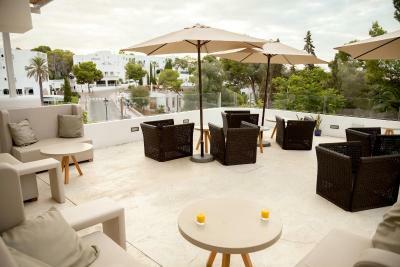 This modern, adults-only hotel has a large outdoor pool with sun terrace and air-conditioned rooms with balcony. Overlooking Cala Gran Beach, it is just 350 feet from Cala Gran Beach. 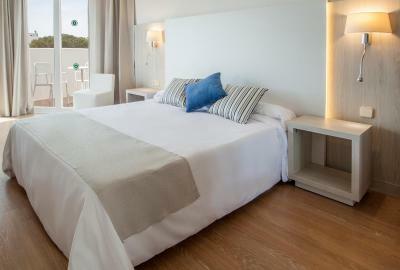 Some rooms at Sentido Tucan feature sea views, and all come with a private bathroom with hairdryer. 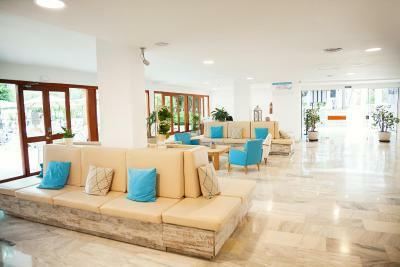 Guests can enjoy snacks at Sentido Tucan’s snack bar during the day, and full meals at the air-conditioned restaurant. Live entertainment is offered at the bar in the high season, including live music and cabaret. 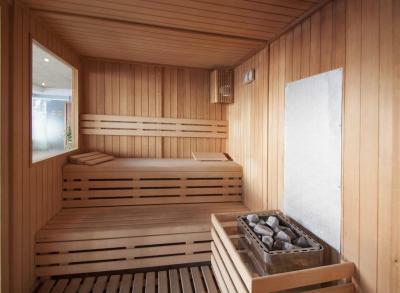 Sentido Tucan has a sauna, a fitness center and a hot tub. When would you like to stay at Sentido Tucan? The inviting rooms are all well-equipped. 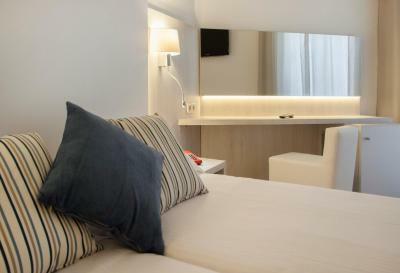 This twin room features a balcony, satellite TV and air conditioning. House Rules Sentido Tucan takes special requests – add in the next step! Sentido Tucan accepts these cards and reserves the right to temporarily hold an amount prior to arrival. Please note the hotel does not permit guests under 16 years of age. Please inform Sentido Tucan of your expected arrival time in advance. You can use the Special Requests box when booking, or contact the property directly using the contact details in your confirmation. The food at the hotel was really disappointing. I arrived with my mum and we ate the prawns on the first night. I don’t usually get effected as I’ve travelled to Cambodia and Vietnam and my stomach was fine. However, the following morning I was sick and then my mum was sick that night. We went down for breakfast after a couple of times after that but only ate fruit and we went out for dinner. The staff were lovely, as I said, and maybe because it was just the start of the season but everything was just a bit tired and dull and like I had walked into an episode of Benidorm. The views from the room and the resort is lovely. I can imagine it being extremely busy and crowded in summer. Some of the bars and restaurants weren’t open yet. The staff were really lovely and helped when they could. Parking very limited and with awkward access. The hotel inside looked very bland just white walls, no pictures anywhere in the rooms and public areas. The restaurant was laid out like a cafeteria not very appealing no atmosphere I felt this could be improved at very little cost and the private restaurant was closed so it didn’t look very good. The food and presentation was excellent. The staff were first class a credit to the hotel. The patio door in our room was old and was not easy to open and close, it needs replacing. Bar and bar area closed by 23:30 in September. The food..cooked breakfast was pretty dire, overcooked apart from runny scrambled eggs. 2 hot drinks machines taking forever to get tea/coffee and just dribbled out. Buffet dinner hot food awful not a lot of choice and hard to match a meal. If you wanted cold food was much better. Fresh fruit table looked like had all sat there a month! Lifts were a little loud, I could hear them in my room. However this is literally the only negative I could think about. This is a very low standard, uncomfortable hotel with poor service. Firstly the beds were horrible - the mattesses were lumpy, worn and old. The room was tiny and the sound insulation was non existant. The hotel is located right on a noisy strip and we arrived into our room to find we were located right beside a bar with horrible loud music which went on until 12am. After the partying outside our window eventually finished, we got some sleep until we were woken up again after 6am by the sound of clattering as breakfast was being prepped below us. The first night of our trip was ruined and with two nights remaining we wanted to find a nicer hotel. We accepted that the payment terms were non-refundable but the hotel refused to show any good will by even offering 1 nights payment back. The staff at reception were unconcerned and while they offered another room or free dinner, we did not want this as we were very disappointed by the hotel overall (even the public areas were old and run-down). We did not want to risk another night of noise and uncomfortable beds with only 2 nights left on our holiday. The hotel manager was consulted by staff and our request for some good will was down right refused. This is regardless of the fact the hotek was at full occupancy. Even though we were forced to pay over €400 for one nights stay I am glad we left this horrible hotel after 1 night. The facility can be better. The cafeteria/restaurant ventilation is really bad, you can smell all the food in the lobby and first floor. Also there can be more small treatments in the room like shampoo, slippers, etc. They just have soap and razor for shaving. For this money and 4 star hotel I expect more in the room. We didnt recieve the most friendly of check-ins, we arrived just before 1am but had informed the hotel of this in advance. The night porter seemed quite disinterested in us, didnt offer to help us with bags, or offer an arrival drink as id witnessed happen with other guests during the stay, however all the staff at the hotel were EXCELLENT. We also stupidly forgot to bring toothpaste and expected a 4* hotel to have some emergency toiletries available at reception, even if for a small fee, however we were quite surprised they didnt have any. To have complimentary toiletries such as shampoo, razor, shaving cream and even a shoe shine sponge in the room but no toothpaste in the whole hotel seemed a little bizzare. The breakfast was amazing, the best ive seen for a buffet. I am coeliac and vegetarian however there were plenty of options for me, simply ask any of the chefs or servers what is available if you have dietry requirements I had lovely GF chocolate bran flakes with soya milk every morning, but there was plenty else (gf bread, porridge etc) and lots of fruit, yoghurt and the fresh crepes and meat also looked fresh and tasty if you're not coeliac/veggie. The coffee machine was of good quality for being 'instant' , there was also free cava every morning to get you in the holiday mood! The whole atmosphere here is just amazing, the staff are so friendly, all the furnishings are to high quality, very clean, and an excellent comfy bed. Air con was great and was nice to have a balcony. Complimentary tea and coffee refilled every day. The area of cala dor itself is perfect, i have very high standards having been lucky enough to travel quite extensively and to non touristy places around the world, but even for the most picky of travellers cala dor is just a gem. Very upmarket , not tacky or rowdy or full of English package holday makers (may be due to going september and not height of summer). The streets are clean, people polite, beaches pristine and lovely shallow coves safe to swim and amazing to snorkel in. Prices are so reasonable unlike many other places in mallorca. Ive never returned to a hotel or destination in my entire life, but i will be booking another holiday here at this hotel for sure. Simply amazing thank you!